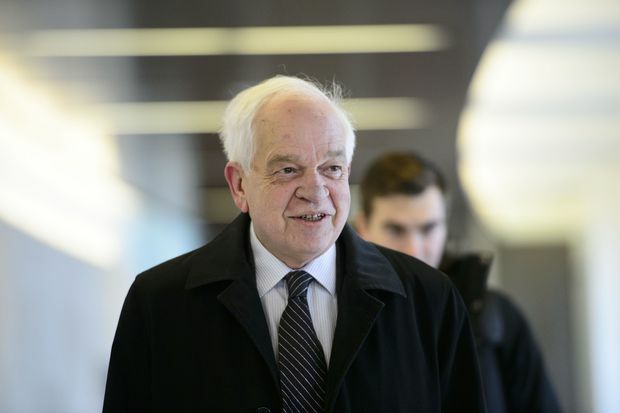 Canada's ambassador to China, John McCallum, arrives to brief members of the Foreign Affairs committee regarding China in Ottawa on Friday, Jan. 18, 2019. For weeks, China has condemned Canada’s arrest of Huawei executive Meng Wanzhou as part of a politically motivated plot to undermine a corporate flag-bearer for Chinese innovation and overseas success. Now, people in China have found support for that position in an unexpected place: Canada’s own ambassador to China, John McCallum, who in a conversation with Chinese-language media in Markham, Ont,. this week said Ms. Meng has “some strong arguments that she can make” to fight extradition, among them “political involvement” in the case by U.S. President Donald Trump. Mr. McCallum also said it’s possible Ms. Meng could be freed through a deal between Washington and Beijing – a potential outcome that suggests the U.S. case against Ms. Meng is subject to both political interference and a political solution. That aligns closely with the arguments Chinese authorities have made, and, on Thursday, Mr. McCallum’s remarks found a welcome audience in China. “It’s obvious that Canada is taking a pro-China stance on Meng’s case at this time,” said Lin Hongyu, Dean of the College of International Relations at Huaqiao University. Mr. McCallum cited three potential defences Ms. Meng could use against extradition: political involvement in the case, extraterritorial application of justice and an argument that Canada itself had no interest in sanctions against Iran. Those “are exactly the points we are using,” Prof. Lin said. 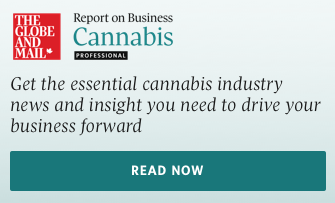 And “the potential outcome mentioned by McCallum illustrates that, from the perspective of Canada, this is purely a political matter,” Prof. Lin said. The refrain from United States and Canadian leaders has been that politics cannot intervene in the independent administration of justice in the proceedings against Ms. Meng, who U.S. prosecutors want to arrest on fraud charges related to alleged violations of Iran sanctions. Mr. McCallum did not respond to a request for comment. Mr. McCallum’s comments will “certainly be taken by the Chinese government as evidence to support its long-standing argument that Meng’s arrest was a politically motivated one,” said Sida Liu, an expert on Chinese law and criminal justice at the University of Toronto. That carries a “dangerous” risk of validating China’s response, added Peter Jennings, the executive director of the Australian Strategic Policy Institute, who has previously served senior strategic and advisory roles to Australian political leaders. In the weeks following Ms. Meng’s arrest, China detained two Canadians – former diplomat Michael Kovrig and entrepreneur Michael Spavor – and sentenced to death a third, Robert Schellenberg, after a single-day retrial on drug charges. "This ambassador in past years has always been nice to China and he is unhappy with the Trump administration,” said Shi Yinhong, director of the Center on American Studies at Renmin University, who until recently also served as a counsellor to China’s State Council, China’s Cabinet. “MacNaughton’s remarks might well be interpreted as a signal to the Canadian courts of the wishes of the Canadian government, and surely McCallum’s remarks make such an interpretation more plausible,” said Jerome Cohen, a New York University legal scholar who is a respected expert on the law in China. Don’t be surprised, he said, if the ambassadors’ words are repeated in the extradition proceedings against Ms. Meng. At the very least, “the remarks of the Canadian ambassador to China show that even some people in the Canadian government believe that politics is involved in the process,” said Wang Jiangyu, a law scholar at the National University of Singapore who is also a member of the Governing Council of the Chinese Society of International Economic Law.